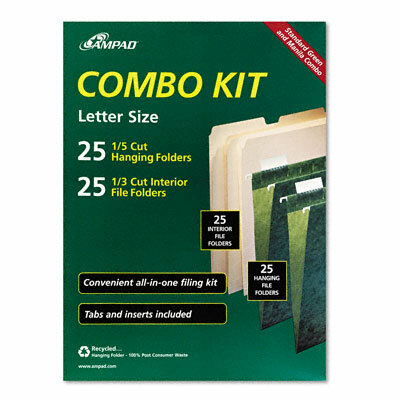 Filing kit includes 25 manila folders and 25 green hanging file folders. Organize any office with this filing kit. Complete with 25 letter-size manila folders and 25 green hanging file folders. 1/3 tab cuts.